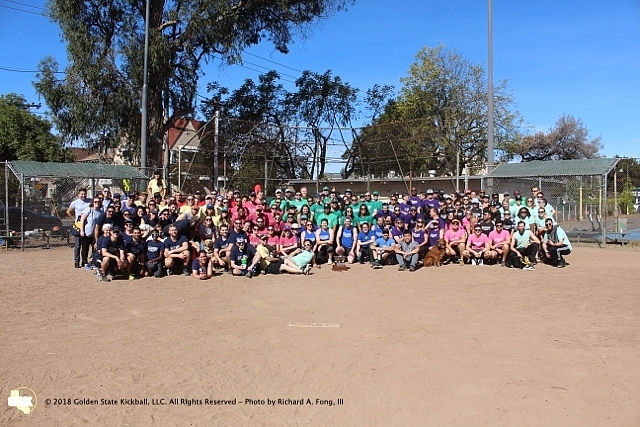 “Golden State Kickball, LLC” was established in 2014 in Oakland, California with the vision to provide a positive recreational outlet for the Bay Area community. We know how tough the rigors of the 9-5 can be. For a few hours a week we just want to get away and return to simpler times. Golden State Kickball strives to do just that. GSK works with local businesses to establish a positive, home-grown niche within the community. Are you a young professional who wants to expand your local network? Are you new to the area and just want to meet new people? Are you a family oriented person who wants to just take a break from life? Are you working for a company who wants to improve upon their team building abilities?